A Nassau County resident protested to the school board in November about evolution being taught in schools. 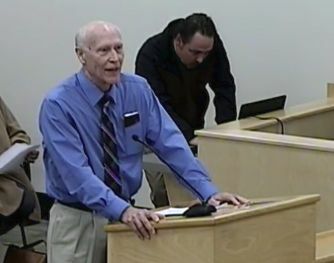 He asked that the board approve the placement of disclaimer stickers in all textbooks that mention evolution. The school board made the right decision Thursday, voting unanimously against that idea. Even though the board’s chief of legal services and the superintendent gave sound advice, they gave it reluctantly. They went on the record stating that they loathed having to give that advice as it went against their personal beliefs. And it’s clear neither one has the foggiest idea what a scientific theory is nor what evolution really means. It’s 2017 and these two were spouting ignorant phrases and ideas that are decades old. You can hear for yourself by watching this video segment of the board meeting (go to the segment titled Textbook Challenge). I wanted to preface my comments … talking about my own personal background. I grew up going to Trinity Christian Academy for ten years. I spent my first year at college at Liberty University, which is Jerry Falwell’s school. I had bible class every day of every year for ten years in school. And we went to church every time the doors were open and I still do. I say all that because I want everyone who hears these proceedings or who sees them to know that personally, for what it’s worth, my own personal opinion is that I agree with Mr. Shutt. I in fact wrote a paper in my senior year in college on why I thought evolution was a bunch of baloney, at the risk of making a really bad grade from a molecular biologist who was a dyed in the wool evolutionary theorist. Having said that, my personal opinion and a dollar fifty will get you a cup of coffee at McDonald’s, perhaps. I say all that to say I don’t want somebody to say or think that my recommendation is coming from a biased person who is anti-God. It personally pains me to say what I feel obligated to say. If the board does this my prediction is that this will happen. A special interest group will most likely file a lawsuit in federal court. To that end, I’ve already been contacted by various groups throughout the state of Florida. Somehow this has gained notoriety. Yes, one of those groups that contacted him was Florida Citizens for Science. He warned the board that losing such a lawsuit will put the school district on the hook for the plaintiff’s attorney fees. What rights do parents have if they want to opt out their student the days or the week that this content is being covered in a science curriculum? Do parents have the opportunity to notify the teacher or the principal or the district that they would like their child opted out during that instruction? Certainly parents can make that decision. If you look at what we’re talking about in the context of the book, it is identified as a theory. But they certainly have that option. And I just want to add this, personally, my beliefs and I believe many of yours probably line up certainly in line with what Mr. Poole described for himself. It’s difficult. It’s a challenging situation. This is a textbook that we have used for quite some time that’s end of life is this year. We’ll be addressing this again in the future. But it is a theory. And I also believe that parents and families teach their children what they want them to believe. Finally, the board voted unanimously to follow the superintendent’s recommendation to not use disclaimer stickers. A little later in the meeting, the school board discussed the new instructional materials law that was the impetus for Mr. Shutt’s complaint. They considered a proposed new school district rule written by Poole that implements the new law. 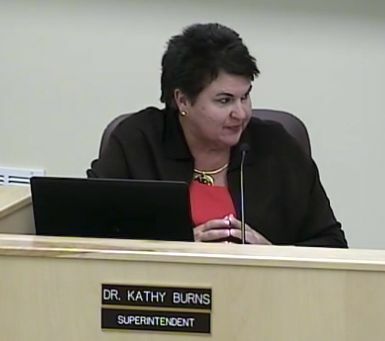 You can watch the video segment here (go to the segment titled Advertisement of Board Rule 8.17 – Challenges to Adopted Instructional Materials). I won’t go into detail about the discussion other than to hit a couple of highlights. First, the discussion made it clear that the new law really left school districts in a bind. They haven’t yet received any direction or guidance from the state government on how to implement the law, which left Nassau County scrambling to develop something when Shutt’s complaint was filed. Apparently, Nassau County even asked around the other school districts and found all were in the same boat. 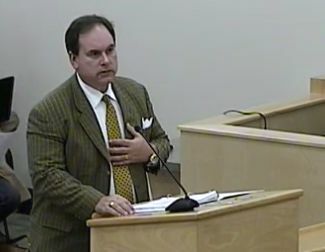 And Dr. Fahlgren once again brought up whether parents can simply ask to opt their children out of certain readings or lessons rather than go through the arduous complaint procedure the new law required. Poole seemed to think it was possible, but there wasn’t much more discussion. The proposed new rule will come up for a discussion and final vote at a future school board meeting. This entry was posted in Instructional Materials bills '17, Textbooks. Bookmark the permalink.